To quote Ayabie, "We could use some new banners." THUS...just jacking Jabronisaur's "BANNER DAY" thread, saving and uploading as many past submissions as possible. So contribute to the forum! MAKE SOME BANNERS! Post RLD perv banners here. 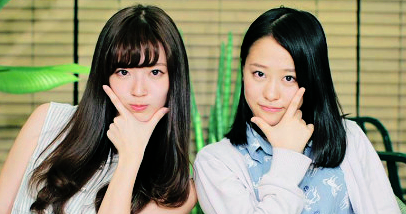 Post H!P perv banners here. Re: BANNERS - MAKE SOME! thanks for the icons, Rina. The artist formerly known as Gray. ^ That's cute how Rika's leaning against the letters, making them tip over. NICE NICE submissions everyone, keep em coming. Edit: Okay, proper size now! Page created in 0.37 seconds with 15 queries.